You are here: Home 2012 February LAN, How to Set Up LAN Network? 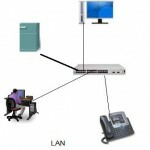 Speaking of local area networks, or LANs, they are smaller networks, usually within an office base. 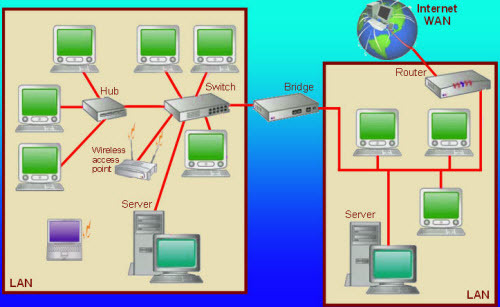 LAN is used to connect computing resources, typically inside one building. The computing resources can be computers, printers, servers, IP phones, or gateways. Connections between the workstations are physical, with cables, and all the office resources are shared and distributed between the network workstations. 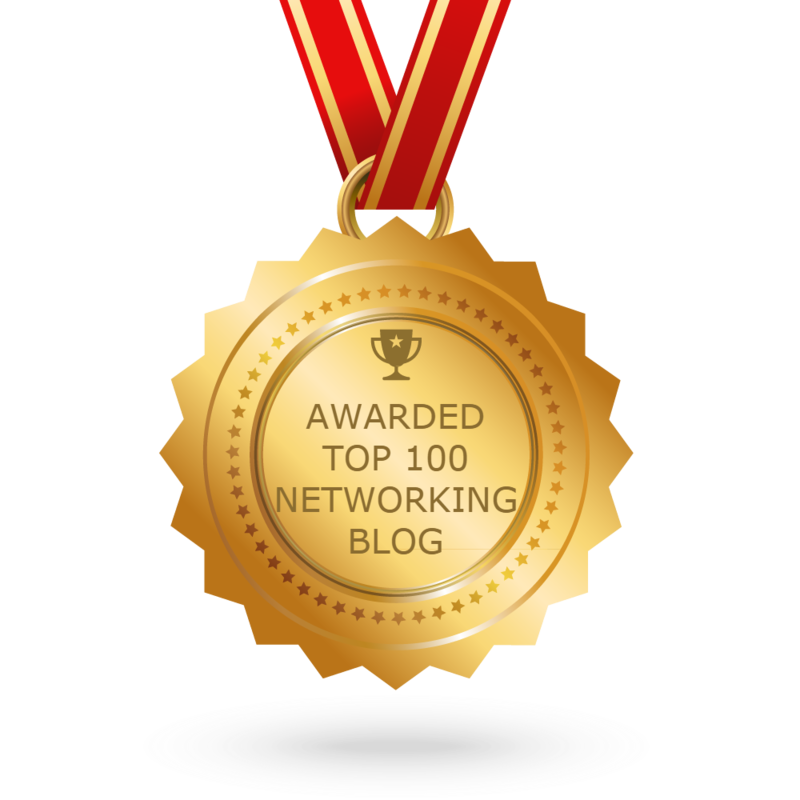 The most common type of LAN is that of Ethernet. This is a family of frame-based computer networking technologies for LANs. You must first identify which services you need to provide locally on the LAN. Computers are connected to a switch with Ethernet cables. Each device has a unique IP address. 1. Identify the local services that you want available on the network. Identify network-attached printers, network disk drives, any server that will share printers or disks. 2. Identify how many devices will have to connect to the network. Each device, server or workstation will require a unique address. 3. Run cables to workstations where possible. A wired LAN will always get better performance and be more secure than a wireless LAN. Wherever possible, run a cable to servers, printers, IP phones or work locations. Run a cable to any area where you are likely to work. Use standard Ethernet cables or building wiring as installed according to the TIA-568 standard. 4. Select and purchase a switch or cable router. The simple secure way to connect to the Internet is to use a cable router. Many makes and models are available. If the model you choose does not have enough ports to connect all of your computers, then you will need to purchase a switch as well. 5. Configure the WAN port of the cable router. Configuration details will vary from vendor to vendor. Key information you will need to configure the WAN port will be supplied by your internet service provider. 6. 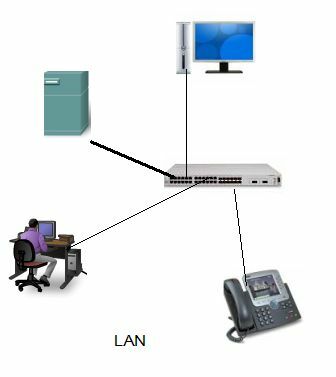 Configure the LAN ports of your cable router. Most cable routers will act as a Dynamic Host Configuration Server, or DHCP server. This means that the router will give addresses to workstations automatically. Be certain that the address pool has enough addresses for all of the workstations. Make certain that there are enough addresses outside of the range for any hosts that need static addresses. For example, a network address with a mask of 255.255.255.0 has a total of 254 hosts. If the dynamic pool has 200 addresses available, that means the remaining 54 addresses are available to give printers or servers static addresses. 7. Connect the wires for the network. Workstations and servers can be connected with standard Ethernet cables. Connect the switch to the cable router LAN ports by using the up-link or straight port on the switch. If the switch does not have an up-link port, connect any standard port of the switch to a LAN port on the cable router with an Ethernet crossover cable. Ethernet rossover cables can be purchased at any electronics store. 8. Test the services and Internet connectivity. Test each of the workstations to ensure they can connect to the Internet and test any local servers and printers. Print test pages on the shared printers. Tests read and write permissions on shared file servers by copying files to the servers and copying files from the server to a workstation. Purchase a cable router with wireless capabilities to give you more flexibility. Make sure cable lengths do not exceed 100 meters, or about 300 feet. Do not run cables in air ducts unless they are fire rated. Check local building codes.